ALL.BIZ España Productos España Alimentación y bebidas Abarrotero Aceite vegetal, vinagre Aceite vegetal Aceite de oliva virgen extra premiun, primera cosecha Aove Bote 100 cl. 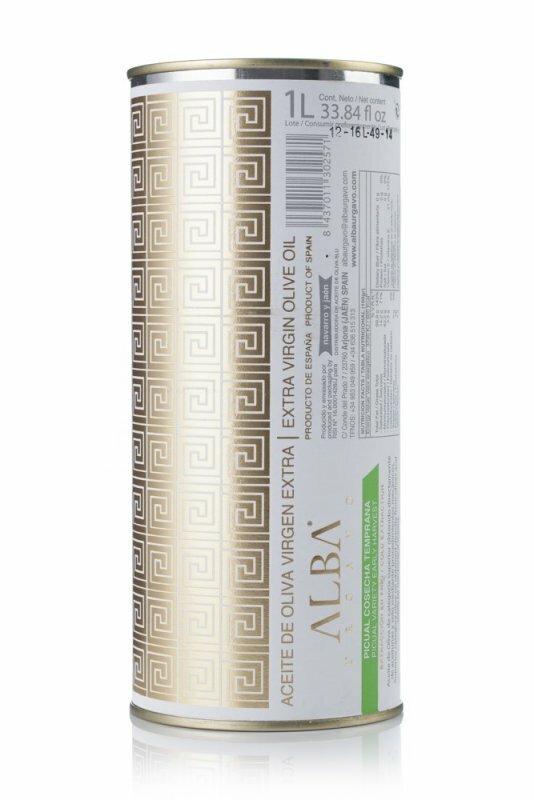 Aceite de oliva virgen extra premiun, primera cosecha Aove Bote 100 cl. Virgin Olive oil of superior category, obtained directly from olives and only by mechanical procedures. Cold extraction. This is an extra virgin picual collected in October. Of golden green color, it has an intense fruity smell and a color with greenish tones. It has a long persistence that is dominated by a pleasant itch revealing its high content in polyphenols, as a guarantee of conservation of all its natural components. This oil is a product of the collection of the First Days of the campaign in the Heart of the Natural Park of Sierra de Cazorla, Segura and Las Villas. ALBA Urgavo Early Harvest comes from olives of the Picual Variety with UN index of maturity less Than two. These are healthy fruits, free from fly attack or another pathogen in a correct state of hydration.